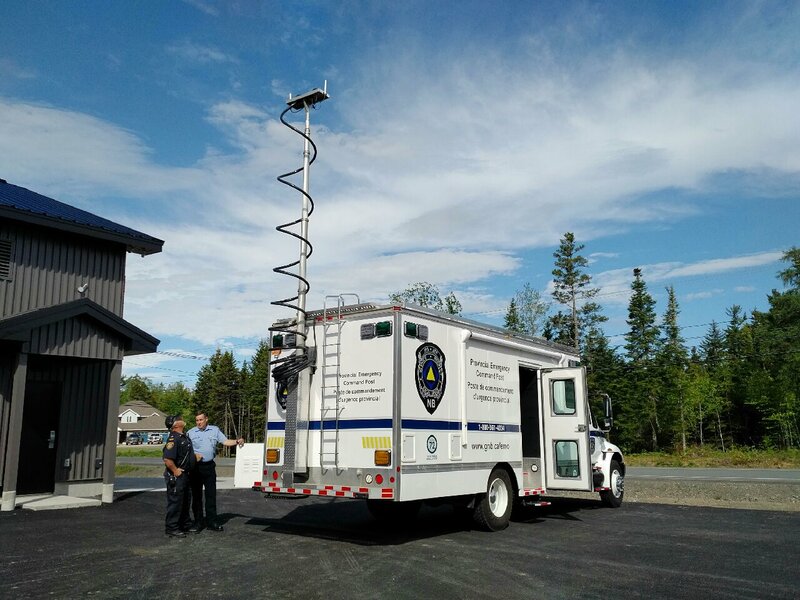 Here's a sneak peak at the new New Brunswick Emergency Measures Organization Mobile Command Post. The vehicle is equipped to provide on-site support including state-of-the art communication abilities. A further tour and description will be published at a later date. In addition to radio capability to almost every land, sea and mobile frequency, the new post will provide improved comfort and flexibility for EMO responders. The vehicle is still undergoing final fitting-out, and we'll provide a complete tour at a later date. It replaces the old command post, known as "Max", shown below.